The maker of Symbian-based smartphones authored a post on its blog that may have been a jab at the iPhone 4. A post on The Official Nokia Blog is titled "How do you hold your Nokia?" (Mashable) -- Nokia has taken Apple to task for comments made by Steve Jobs about how users experiencing reception problems on their new iPhone 4 devices should "avoid holding it that way" ("that way" meaning a grip that blocks the antenna). 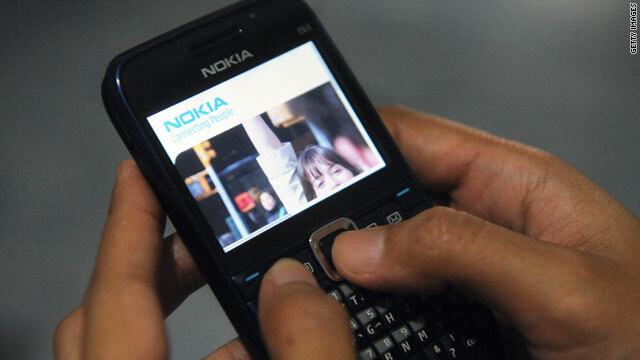 The maker of Symbian-based smartphones authored a post on its blog called "How do you hold your Nokia?" -- featuring step-by-step instructions on a variety of grips such as "the cup," "the balance" and "the four edge grip." The company goes on to note, "One of the main things we've found about the one billion plus Nokia devices that are in use today is that when making a phone call, people generally tend to hold their phone like a ... well, like a phone." Obviously, this is all a jab at the iPhone (though Apple is never specifically mentioned) and its supposed reception issues, as Nokia concludes its post by writing: "Of course, feel free to ignore all of the above because realistically, you're free to hold your Nokia device any way you like. And you won't suffer any signal loss. Cool huh?" On a more serious note, however, you may recall that the two companies are currently embroiled in patent lawsuits and looking to keep the other's devices out of the U.S. That seems unlikely to happen any time soon, but for the moment, at least we have a fun aside in the battle between the two companies.